Head On VS Head Off Spot Prawns? The head of the Spot Prawn makes up to 50% of a prawn's weight - so if you are wanting to get a pound of tails (meat) then you need to get 2 pounds of whole prawns. This will be reflected in the prices you see in the case, looking at head on whole, or just the tails. You end of paying only one dollar more per pound if we do the work tailing them for you. Cook your prawns HOT and FAST. Pan sear for 3 -4 minutes maximum or split and BBQ in their shell. Why do we carry prawns from other countries? In order for us to provide our customers only the best WILD sustainable prawns, and with only a short 2 month harvest season on the West Coast... we must source wild choices outside of Canada. Export and Import of fish is a vital part of the Canadian economy and without that our commercial fleet would soon become non existent. So although they are not "local", they are Fresh Frozen and most importantly WILD. Don't be fooled by the large freshwater or farmed Shrimp you find at the grocery store! 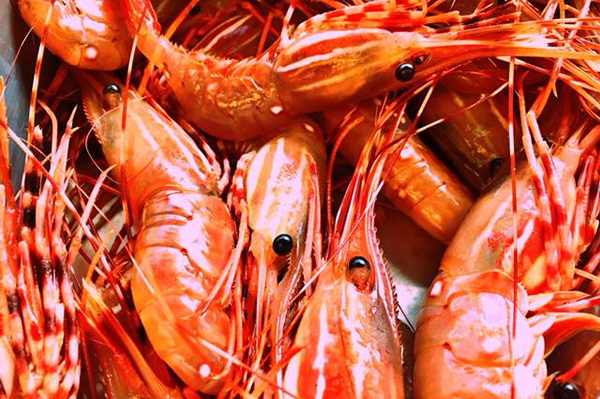 These sweet, buttery wild pink shrimp are caught off our west coast. 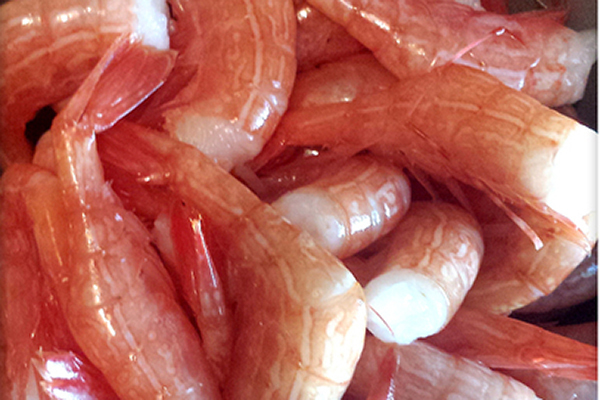 Pre-cooked, cleaned, hand-peeled and ready to go, their firm texture makes them perfect for a shrimp cocktail or salad! A warm water prawn slightly more tender than other prawns with a flavour similar to lobster. 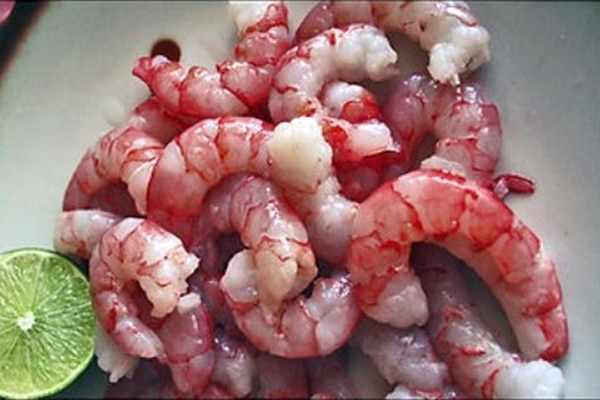 Shells are slightly softer and easier to peel than other prawns. Caught off our west coast commercially during May and June. They have a natural sweet flavour and no vein to clean out. They are extremely versatile and will turn out fantastic any way you cook them. Caught off our west coast. Slightly softer than our spot prawn. A delicate, clean flavour with a prominent sweetness. Fished all year long. The majority of these are caught, headed and frozen in water blocks right on the boat. Caught in the Western South Atlantic area. Because the water is cold the meat is really tasty, very comparable to our west coast spot prawn.